Kerathik Hair Building Fibers are made of the highest quality of Hair Fibers. The Laser Cut Micro Fibers are made of a unique complex of Keratin Protein. 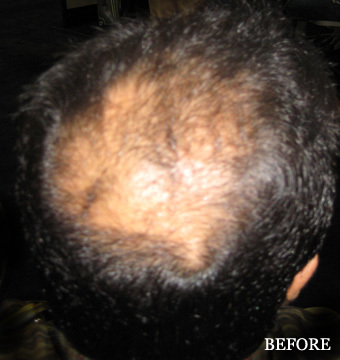 Kerathik Hair Building Fiber thickens hair with every sprinkle. It’s safe and easyto use and provides excellent coverage for any shade of hair, even highlighted hair. Tiny little fibers designed to look like real hair sprinkles down on the hair and fills in around the base of the thinning hair. Giving you the self confidence in knowing you’ve taken years of your appearance and have a full head of hair again. Thicker fuller hair in minutes. 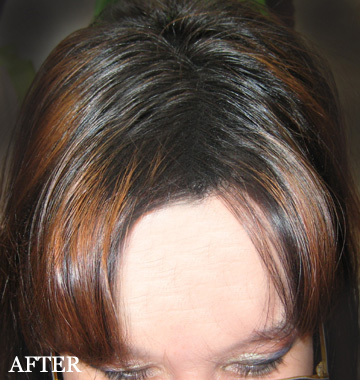 Unlike many of the cosmetic solutions on the market, Kerathik hair building fibers are totally undetectable. It's not a colored spray paint, or a messy cream, both of which produce a matte, lusterless appearance. The results you'll achieve with Keratin hair building fibers will completely surpass anything you've seen or tried in the past. Kerathik hair building fibers are made to resemble real hair that has been precision cut with a laser into tiny micro sized fibers. 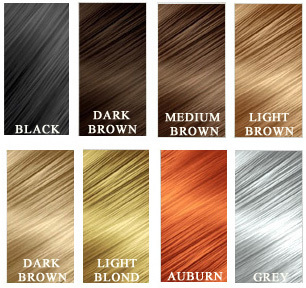 These microscopic "hair fibers" build upon your existing hair to produce dramatic density, volume and total coverage. A completely safe solution for both men and women. Kerathik does not remove until you wash it out with your favorite shampoo. Stays in place in wind, rain and while exercising. 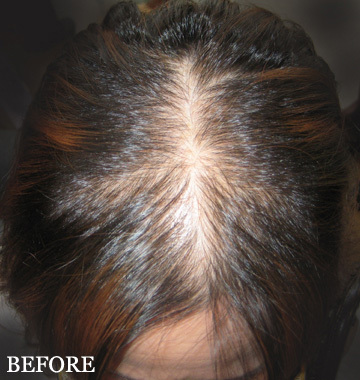 Kerathik hair building fibers bonds with your existing hair, dramatically building up hair structure and volume. 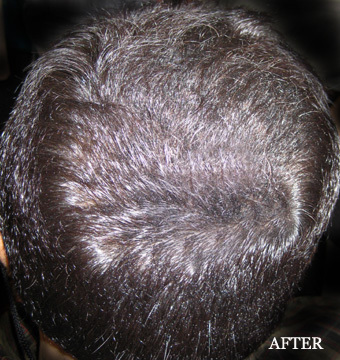 Even seemingly bald areas of the scalp contain thousands upon thousands of tiny "vellus" hairs which Kerathik hair building fibers can "pump-up", producing a dramatic increase in volume and hair density. The final result is a totally natural looking full head of hair.